In our quest for a green lifestyle, we’ve tried lots of different things. Some worked for us, some didn’t. We love cloth diapers, but as hard as I tried I just couldn’t get used to a menstrual cup. We switched almost entirely over to reusable microfiber cleaning cloths, but I just can’t make the switch to using cloth baby wipes. Getting started with essential oils has opened up a whole new world of natural solutions for our home, and I know I’ve only seen the tip of the iceberg so far. 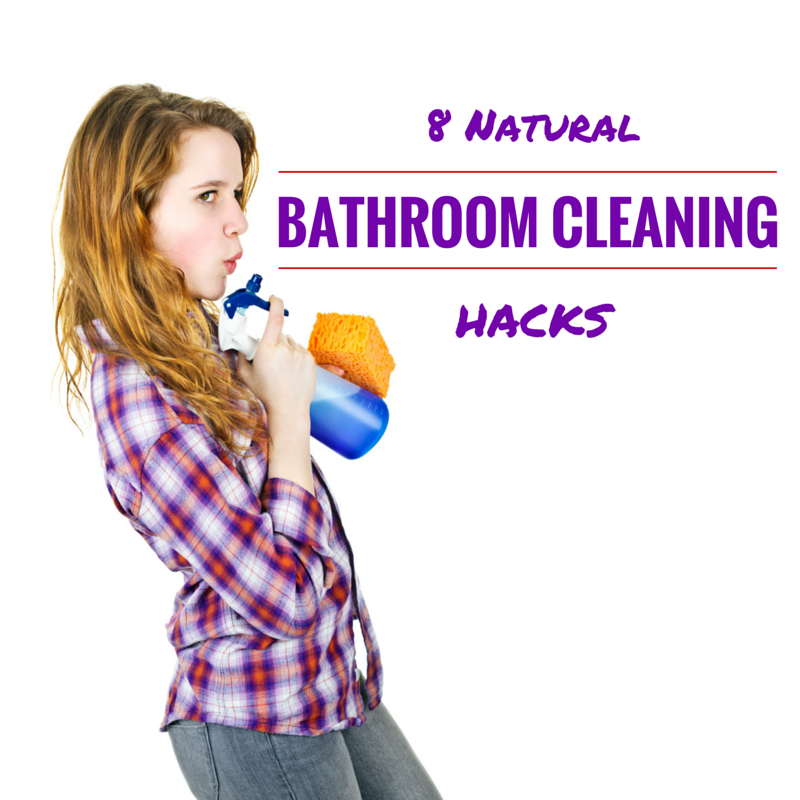 Today I’m sharing eight super easy and eco-friendly cleaning hacks to help get your bathroom sparkling clean without using harsh chemicals or creating waste. I’m joining my amazing team of Oil Explorers to share our favorite tips for spring cleaning using natural products. Last week I reviewed the Norwex Enviro Cloth for y’all, which is my favorite Norwex product. Today I’m sharing details about two of my other favs, the dust mitt and the kitchen cloths. Together with the Enviro Cloth and the Window Cloth, these products have helped us drastically reduce the chemical usage in our home, as well as reduce our paper waste and bring down our cleaning budget. First up is the dust mitt. In my opinion, this little beauty is the most fun to use. You put it on and just go for it, dusting any and every surface. 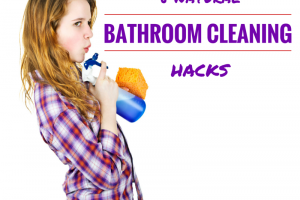 You don’t need Pledge, chemicals, or paper towels. When you are done you bang the dust out of it (like you would a rug) and throw it in the laundry after a couple of uses. It picks the dust up without spreading it around, so your surfaces stay dust free for quite a while and nothing ends up on the floor. It can easily clean between mini blinds and the tops of ceiling fans. The dust mitt retails for $16.99 and will last for years, paying for itself in savings on paper towels and chemical dusting sprays in a few months. You can also get it as part of the Household package (my personal favorite deal) with the Enviro Cloth and Window Cloth for $48.99. Click here to shop and be sure to list me (Becca Eby) as your hostess. 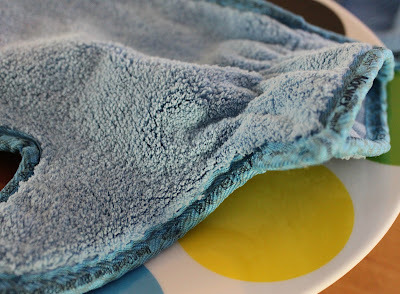 My other must have item from Norwex is the kitchen cloth. This comes in two sizes (cloth and towel) and I have both. I love the small one for cleaning up after meals and wiping down the counters and Bear’s high chair, and the large one for bigger messes. As you can see below it has a looser weave than the Enviro cloth which helps it to grab onto big food particles and pick them up rather than spread them around. The kitchen cloths contain silver making them anti-bacterial. As long as you wring them out after each use bacterial growth in inhibited in the cloths and they won’t cross contaminate. You can buy the small kitchen cloth for $9.99 and the larger kitchen towel for $19.99. You can get a better deal and buy them together in the Kitchen Microfiber Collection with the Veggie and Fruit Cloth and Kitchen Scrub Cloth for $54.99. If you are truly interested in reducing the chemicals in your home, reducing your paper waste, and reducing your household cleaning budget, give Norwex a try. There are several small collections you can check out just to get started. The products are made with fair trade practices and will last for years, paying for themselves in savings on chemicals and paper goods in just a few months. Feel free to email me or comment below if you have questions. You can check out the full line of Norwex products here and shop away. Please put my name (Becca Eby) as your hostess. My online party will be open until June 20th. Our family strives to live frugally and reduce our environmental impact and waste as well as the toxins in our home. For this week’s edition of Frugal Friday, I’m thrilled to share with you a line of products that are helping us meet those goals. I was introduced to Norwex a few months ago by a friend who hosted a home party demonstration of the products. I’ll be the first one to tell you I’m not really a home party direct sales kind of girl, and Norwex is a direct sales company. However, Jed and I had recently discussed how much paper waste we created as a family, specifically paper towels, and how we could reduce that waste and cost. The party came along and I was intrigued. My friend has 3 kids and talked about many messes she cleaned with her Norwex cloths and how much she had reduced her paper waste, and I decided to try them for myself. I bought the Household package at the party, consisting of one Enviro Cloth, one dusting mitt, and one window cloth. With those three items alone I brought our paper towel usage down by about 90%. Seriously. 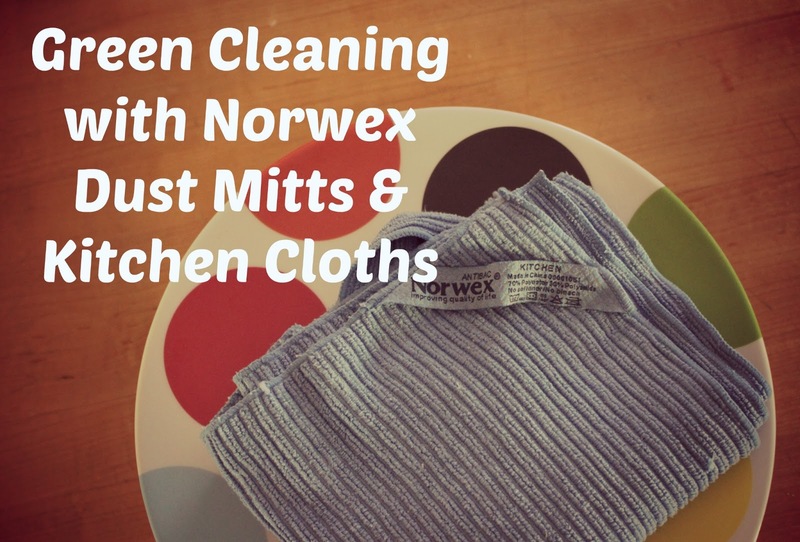 The other fabulous thing about Norwex products is that you clean with just the cloths and water. No chemicals. And they work. For real. Jed thought there was no possible way the Enviro Cloth and window cloth would clean Bear’s dirty finger prints off our glass door with just water, but they did leaving no streaks. He was shocked. My reply was, “Did you think I would buy something that didn’t work?”. The Enviro Cloth is also naturally antibacterial because it is made with silver woven throughout the cloth. 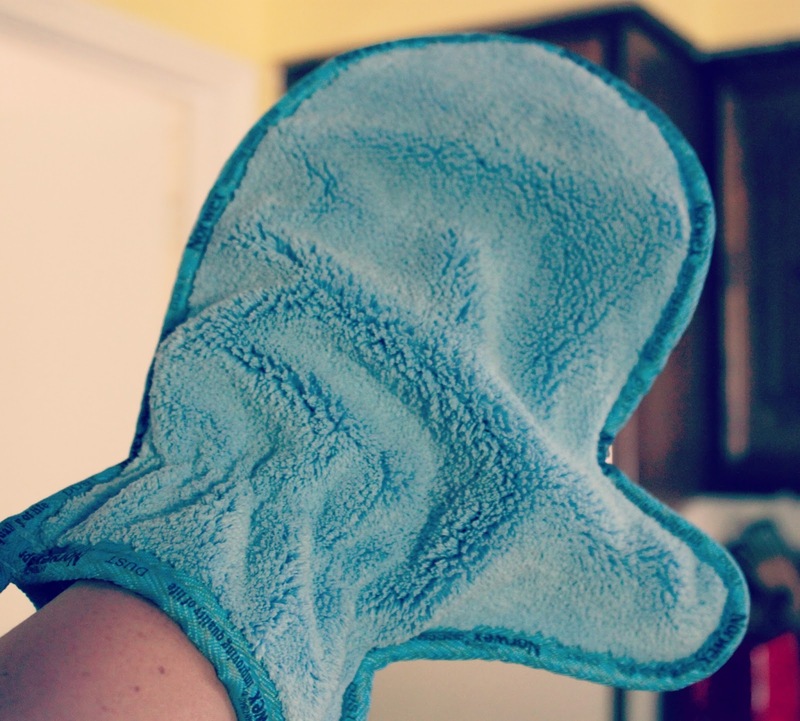 I’ve used the dusting mitt all over my house with no Pledge, and it really picks up the dust instead of spreading it around like a feather duster. The Enviro Cloth is my favorite product, because it really works. A few of the messes I’ve cleaned with just the Enviro Cloth and water include: chocolate, bbq sauce, and crayon off my white couch; coffee and crayon off the carpet, countless counter spills, olive oil grime off the stove, and many others. Because I’ve become such a believer in Norwex products, I’m doing something I never thought I’d do. I’m hosting a Norwex party at my house and right here on the blog. You, fair reader, get to join in the party just as if you were hanging out at the Norwex Play Date I’m hosting for my mom friends here in Dallas. To shop through my party, head over to Emily’s Norwex page here. Choose the products you want to try, then choose me (Becca Eby) as your host. Be sure to check out the full line of Norwex products. They have everything from household cleaning cloths to mops, towels, skin care, and so much more. I can’t wait to try more, which is one of the reasons I’m hosting this party. I felt weird at first asking my friends both in real life and online to shop through my party, but then I realized how many home parties I’ve gone to for other folks and how many great products I’ve discovered through other bloggers’ reviews and I knew I had to do it. So, if start up cost is one of only two negatives I found, why include this on a Frugal Friday post? Much like cloth diapers, the initial cost of family cloth products can seem daunting. The Enviro Cloth retails for $16.49. Your average pack of paper towels retails for around $12. I was using about 3 rolls per week at $1.50 a roll or $4.50 per week. At that rate my Enviro Cloth paid for itself in a little over a month. Now if you add in the dust mitt and window cloth, the cost goes up to $48.99 for the Household package. With less than 3 months of usage your cloths have already paid for themselves and you still have 1 3/4 years left on your warranty. You can read testimonials of customers who’ve used the same cloths for over 10 years. When you add in the money you save from not buying cleaning products like Clorox wipes, Pledge, Windex, All Purpose Spray, etc, the Norwex products become an even better deal. Check out my Norwex consultant Emily’s video explaining the ins and outs of Norwex microfiber cloths. My Norwex party will run from May 24-June 20. If you are interested in hosting a party yourself, contact Emily and she will help you out. From May 30-June 13 I will be hosting a Norwex giveaway here on the blog as a part of the Green Your Summer Giveaway Hop. Be sure to come back and enter to win. I’ll also post a few more Norwex reviews during the event here on the blog. If you are in the DFW area and interested in coming to my Norwex Play Date to see the products in person, send me an email at barefeetonthedashboard@gmail.com. What steps does your family take to reduce waste and environmental impact? One of the most intimidating things about cloth diapering a child is the actual washing of the diapers. There’s a different routine for every cloth diapering family, but I’ll share the super easy routine that works for us. We tried and tested 11 different types of cloth diapers and you can read about that by clicking the link. Here we go. We need a few items for our routine, besides the obligatory washing machine. We use a plastic bucket from Ikea with a lid, bumGenius Diaper Sprayer , and Country Save detergent. Step One: After The Bear soils a diaper, we spray it off in the toilet with the diaper sprayer. We spray both poop and pee diapers, to help get the ammonia stink out of the cloth. The diaper then goes into the bucket, and the lid stays on til we are ready to wash. Step Two: We wash our cloth diapers every other day. I turn on the washer on the heavy duty cycle with cold water, and let the water begin to fill. I add 1/4-1/3 the amount of Country Save detergent I would use for a normal load. I toss the diapers in, making sure the velcro tabs are closed so they don’t get crazy in the wash. Close the lid and run that sucker. Step Three: After the cold wash finishes, I turn the dial back to heavy duty wash, but this time in hot water, with no detergent. Run it. Step Four: We pull out the diapers and hang them on the clothesline if it is nice out or from the shower curtain if it is rainy. And we’re done. 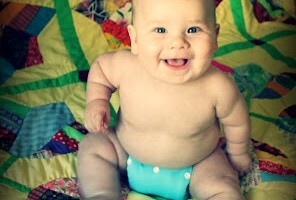 We’ve learned a few things over this year+ of cloth diapering. Never soak your diapers because it damages the waterproof liner. Always double check your velcro/hook and loop. Don’t be afraid to start using cloth diapers. You CAN do it. Do you use cloth diapers? 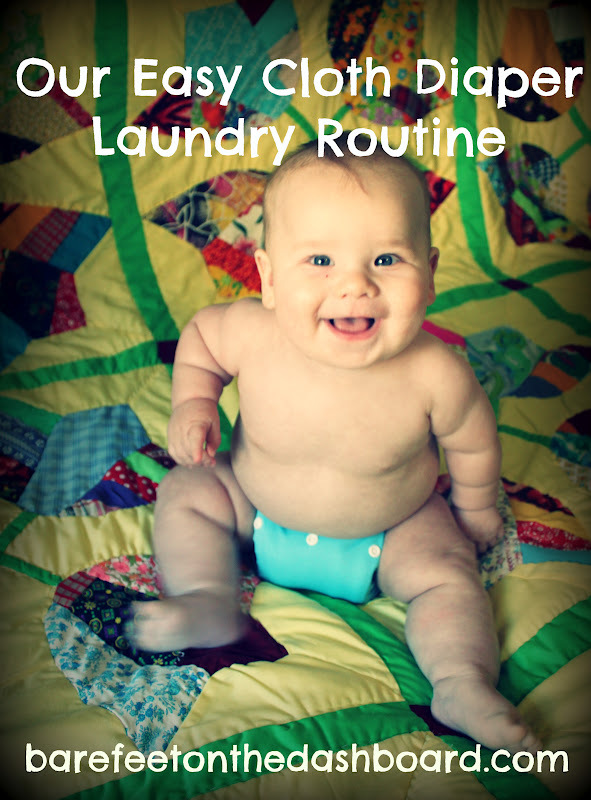 What is your cloth diaper laundry routine?